It’s a new week, Florida State fans. As you get back to the old grind, keep it here for the latest in FSU athletics. The news and notes section of this post will be updated throughout the day. No. 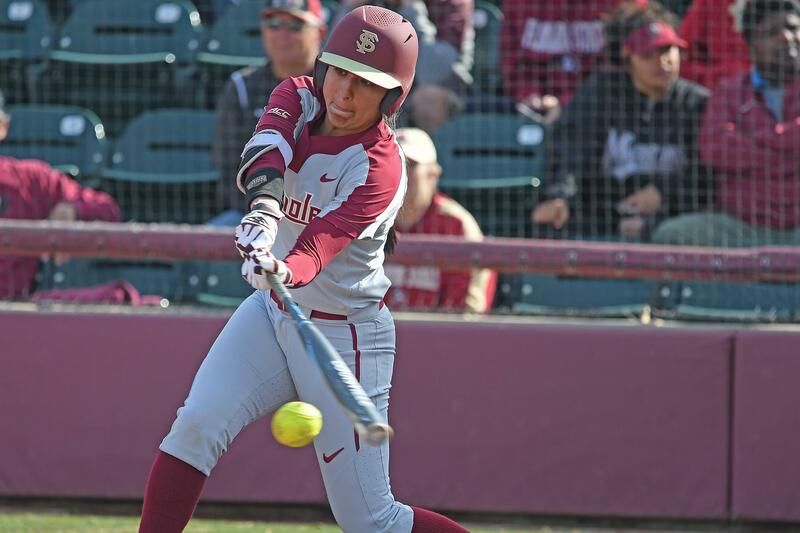 1 and defending national champion Florida State softball wrapped up the JoAnne Graf Classic on Sunday with a combined no-hitter to finish 5-0 at home over the opening three days. In a contest that lasted just five innings, Kara Bilodeau and Makinzy Herzog combined to allow just one baserunner in a 10-0 victory over UNC-Wilmington. Dominique was hit by a pitch in the fourth inning for the Seahawks. FSU opened the contest with a 9-run first inning. Carsyn Gordon hit her first home run of the season for the Seminoles, going 3-for-3 with a pair of runs scored and three RBIs. Sydney Sherrill, Zoe Casas and Cassidy Davis all drove in two runs in the win. After going 5-0 at the JoAnne Graf Classic, FSU will return to action on Friday at the St. Pete/Clearwater Invitational with contests against Ohio State and Oklahoma. In addition to FSU softball, FSU women’s basketball fell to Notre Dame on Sunday, 97-70. FSU swimming and diving wrapped up the Auburn Invite. FSU men’s golf begins the Mobile Sports Authority Intercollegiate on Monday. The AP and USA Today Coaches Polls for college basketball will be unveiled on Monday. The ACC will name players of the week for various sports.